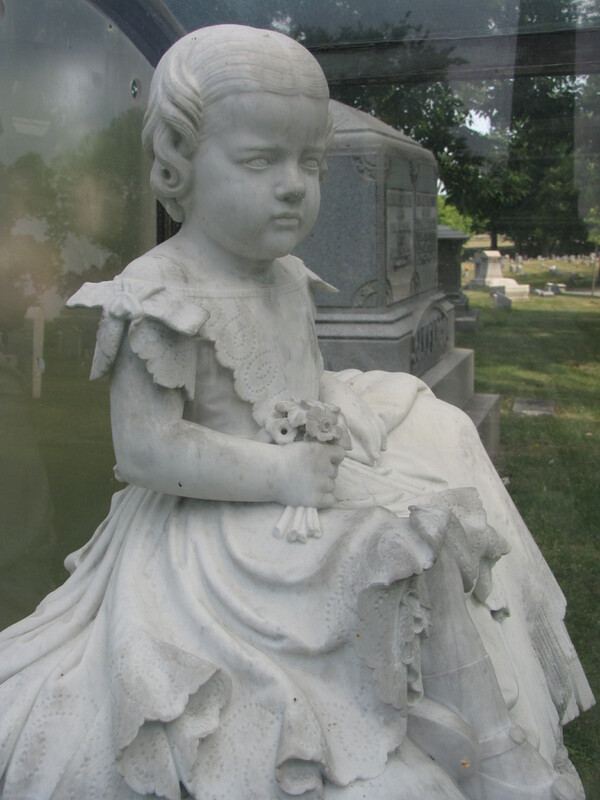 A pristine example of a child being memorialized in stone can be found in the Forest Lawn Cemetery at Buffalo, New York. 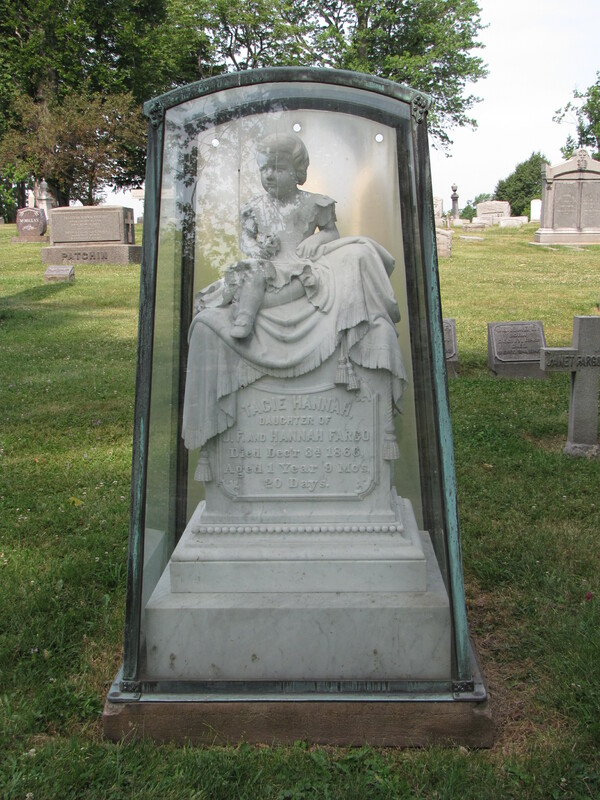 The elaborate white-marble sculpture, preserved and encased in glass, portrays the twenty-one month old daughter of J. F. and Hannah Fargo, Tacie Hannah Fargo. The little girl is positioned sitting on top of a tasseled blanket gripping a small bouquet of flowers. J. F. Fargo was the brother of William G. Fargo, one of the founders of the Wells Fargo Company. Gorgeous art. The date of death is a little puzzling. December 34th? If you enlarge the picture it’s actually December 3d.